Growing up we feasted as children on “Pigs in the Blanket” an intriguing way to inspire young ones to eat cabbage no doubt. 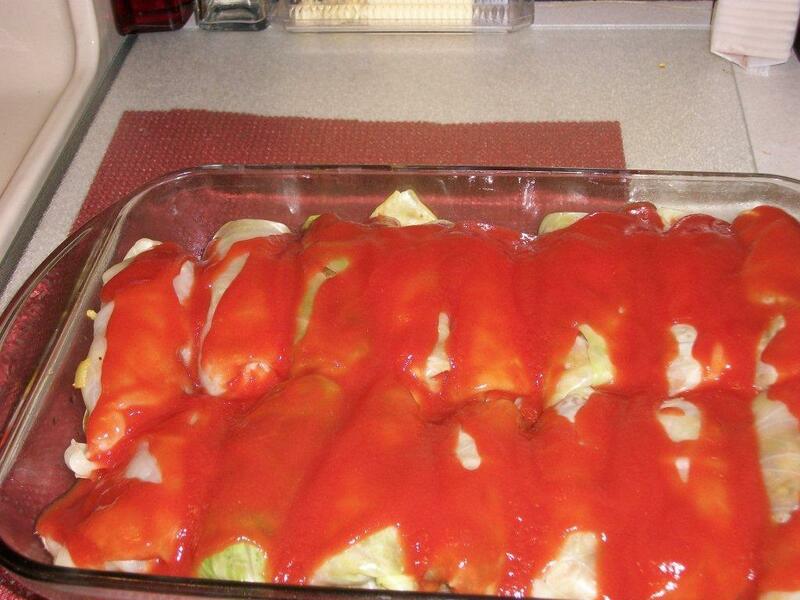 As we grew and became inspired as fledgling cooks we discovered the Danish stuffed and rolled Cabbage. When I married I discovered the Middle Eastern influence and the many versions of our childhood favorite. 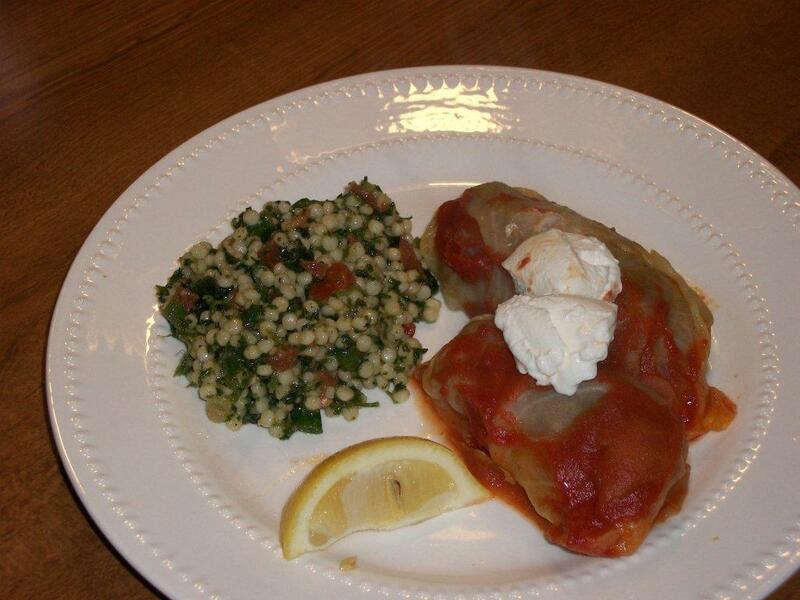 Below I offer the Danish American version I have adapted for stuffed and rolled cabbage and also a Persia inspired version of the same. Both are packed with flavor and subtle differences I hope you will enjoy. 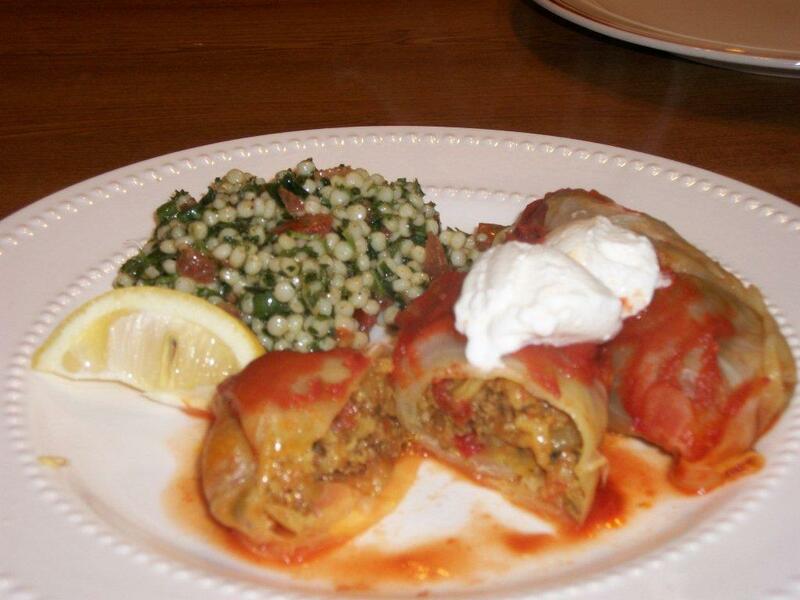 As you can see the majority of ingredients are the same with subtle differences, but here the technique differs; the Danish American version calls for cooking the meat mixture raw in the cabbage while the Persian influenced is pre cooked and finished in the oven. The Danish American version can be finished on the stove top (steam cooking) or in the oven (dry heat cooking). Since the Persian inspired is pre cooked I have only completed it in the oven. Both steam and dry heat produce a good tasting cabbage. DANISH AMERICAN: In a large bowl, combine all ingredients except cabbage, tomato sauce, water and lemon, mix well. 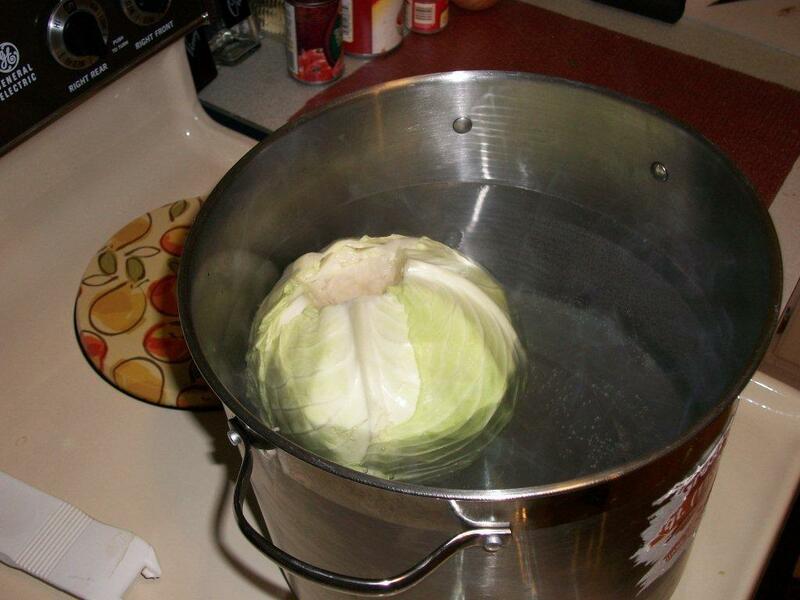 Core Cabbage and place in large pot of boiling water. Remove leaves as they wilt and become pliable and allow to drain. Place a generous amount of mixture on each leaf (leaf size determines amount of filling) fold stem end over and fold in sides, roll up and use tooth pick to secure if needed. Place seem (tooth pick) side down in a coverable roasting pan. Continue until all mixture is used. Depending on size of pan used you can place a second layer of rolls if needed. 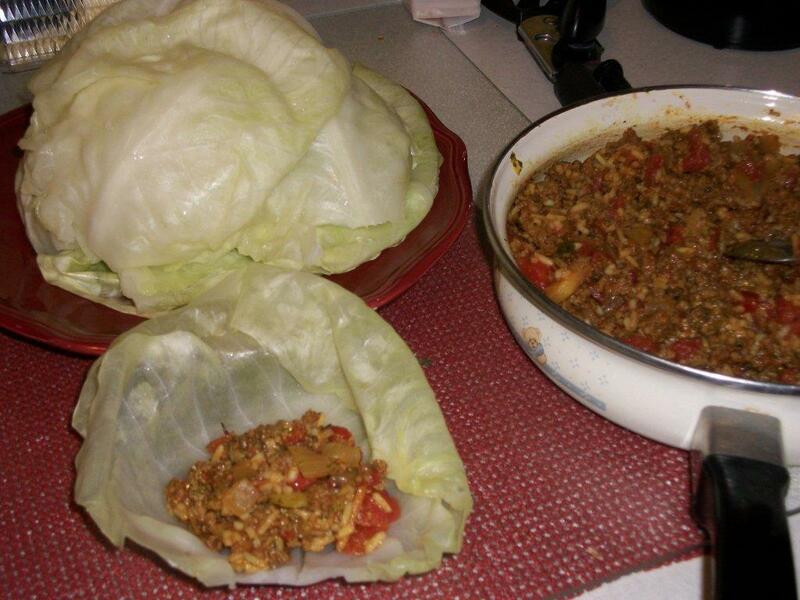 ** This dish can be made on the stove top, use a heavy bottom pot, line the bottom with discarded pieces of cabbage. 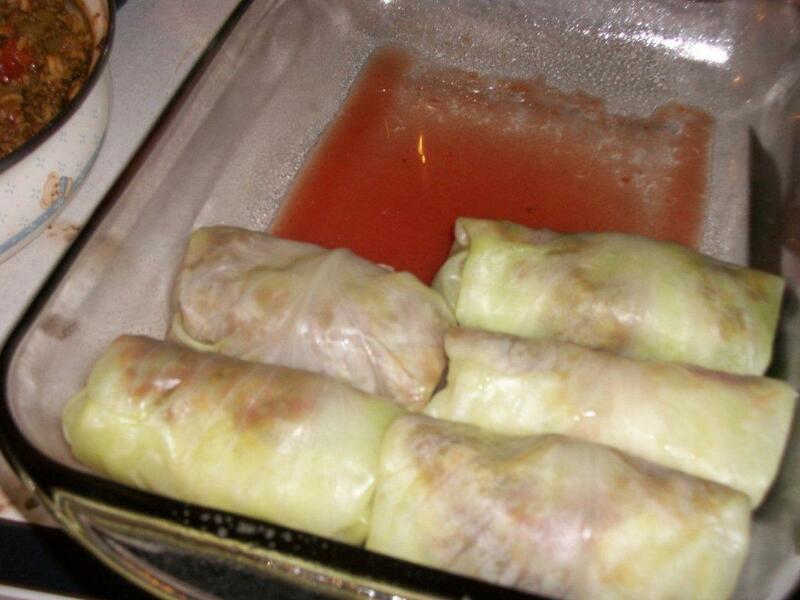 Place rolls seam side down in layers and add the lemon and tomato/water mixture. 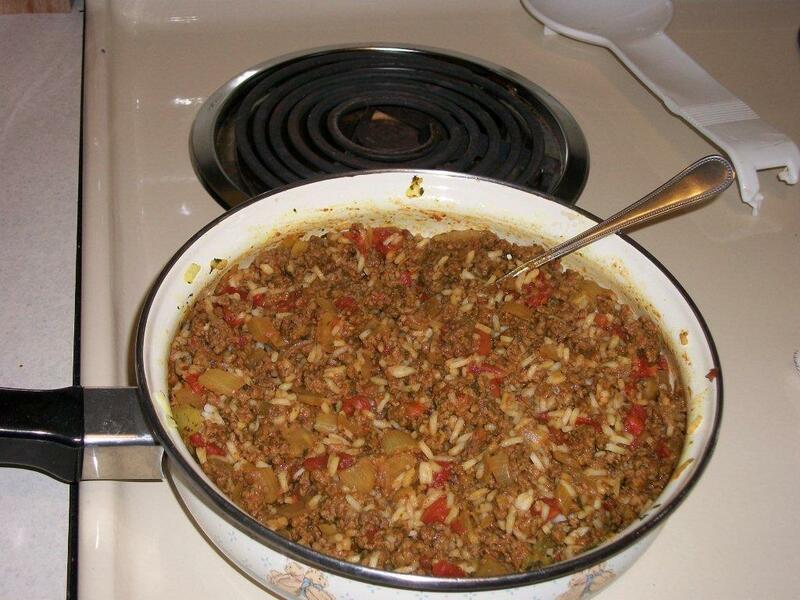 Cover tightly and simmer over a low flame until rice is tender. Test for doneness by carefully unrolling a top roll and test the rice. PERSIAN INSPIRED: Place Sabzi Dolmeh in cheese cloth/a fine mesh sieve or large tea strainer and add warm water to cover. Let stand about 15 minutes, cook the rice to al dente and sit aside. Sautee onion and meat until cooked and onion is transparent. Drain and add Sabzi Dolmeh spice to mixture and stir and cook for 5 minutes. Drain the diced tomatoes reserving the liquid and add tomatoes to the meat mixture with the tomato paste and par cooked rice and cook an additional l2-3 minutes. Add salt and pepper to taste and remove from heat.